How is it that the Italians stay healthier and live longer with all that delicious food and tasty wine—la Dolce Vita? That’s the Italian secret—their classic Mediterranean diet, now described and modernized in The Mamma Mia! Diet, a complete Italian lifestyle guide! People underestimate the power of a healthy lifestyle and how it can affect their well-being. Nowadays, it is well-documented in scientific literature that a healthy diet, combined with regular exercise, can prevent various diseases and help you lose weight, feel more energetic and even be happier. 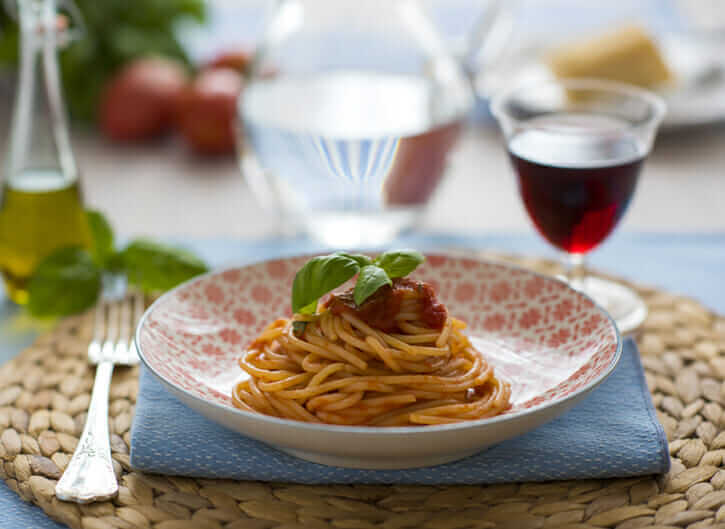 From pasta culture to enjoying aromatic wine, The Mamma Mia! Diet lets you pick up some Italian habits that can change your life. Here are the top 10 secrets of The Mamma Mia! Diet that you can adopt to make a difference for a better health, even if you don’t live in Italy! 1. Go to the market more. Make a list of “good” food and buy only what’s on the list. Going from one stand to another at a farmer’s market or similar setting also allows you to develop a relationship with the people you are buying from. It is one of the ways we Italians socialize. Talk to the vendors and see for yourself—shopping at the market can also be fun! 2. Prefer quality to quantity. Higher quality food will make you feel more satisfied. Eat more healthy carbohydrates (such as whole grains and legumes). Pasta is an excellent lunch dish (providing fuel for the rest of the day), but people tend to load it up with too much sauce. Remember, industrially-produced sauces often have added sugar and salt; choose instead to top your pasta with lots of vegetables. 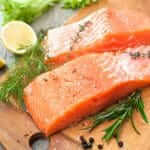 Eat more fresh and seasonal fruits and vegetables, and fish. Reduce unhealthy carbohydrates (such as simple sugars), unhealthy fats and trans fat, preferring extra virgin olive oil (which is rich in many nutrients). Limit meat, preferring poultry to red meat. Use less salt. Drink more water, eliminate all soft drinks, even so-called diet ones. Finally, during meals you can indulge in a single glass of good red wine, which is rich in antioxidants and other beneficial compounds. But don’t overdo it! 3. Think about smaller portions. Use smaller plates, so that the amount of food seems greater. You will be eating less, and you won’t even realize it! 4. Plan what, and when, you eat, both at mealtimes and snacks. Whether you are dealing with breakfast, lunch, dinner or snacks, it is important to be aware of what you are eating and to avoid impulse eating. Such tactics can have various beneficial effects on your health. 5. Make time for your mealtime. Whenever you can, take time to sit down at a properly-set table to enjoy your meal, sharing with your loved ones. Turn the TV and electronic devices off. This is the time of the day to connect with your family— that’s the conviviality that defines Italian meals. 6. Eat home-cooked food as much as possible. Doing so allows you to control not only the ingredients and the cooking techniques, but also the appropriate portion size. Restaurants will often use increased portions to bring people in, but this situation just induces one to eat more. The MMD is an inclusive diet, but one key to its success is MODERATION. 7. Make smart choices when eating out. 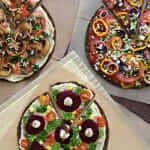 Going out or ordering in restaurant food once in a while should be seen as an occasional treat, rather than a routine. When you do indulge, select healthy food from the menu. Skip the fancy drinks, rich desserts, and of course, never order a cappuccino after your meal. Cappuccino is a morning treat! 8. Get a sufficient amount of quality shut-eye. The reason sleep is so important is because sleep is when your body is able to grow, repair itself and heal. Getting enough quality sleep at the right times, following your natural biorhythms, can help protect your physical and mental health, and consequently your overall quality of life. Regular exercise is important for your physical fitness and your general health, including your mood. Italians walk, ride their bikes and take the stairs whenever possible, instead of using cars and escalators. Try at least 30 minutes of moderate-intensity physical activity five times a week, and 45 minutes of intense exercise three times a week. Instead of looking for the parking space right next to the building entrance, make a habit of leaving the car at the far end of the lot. 10. Last but not least—think sociable, not social. Put down your smartphone and spend time talking to the people around you. Try to meet someone new. When you’re on your own, you’re more likely to give into the temptation of snacking. Italians love to live in the town square—the piazza—and they are always interacting with the people around them. This activity gives your mind something to concentrate on other than food. So there you have it! Adopt these 10 habits of The Mamma Mia! Diet and your body and soul will thank you. It is not difficult to achieve! Start small, and you’ll feel the results in no time! 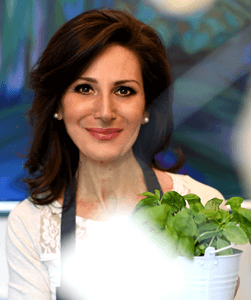 Paola Lovisetti Scamihorn is an Italian pharmacist, researcher and food writer. Cooking, eating healthy food and staying active have always been her life-long passions. She has a cooking blog “Passion and Cooking,” and contributes to several international magazines. She has previously published in Italy Love is Eating, focusing on Italian culinary culture. She co-wrote her newest book The Mamma Mia! Diet with Paola Palestini, Ph.D.
Magic Weight Loss Pills and Diets: Do They Work? Featured, Health & Beauty, Nutrition, Weight Loss permalink.